"The world leading consumer goods trade fairs focusing on design, tableware, gifts and home decor"
Ambiente Frankfurt is a dedicated trade fair encompassing the culture, art, and accessories famous in Germany and in Europe. This event brings with it products like most important consumer goods trade fair brings, which boasts a globally unrivaled range of products in the Dining, Giving and Living areas in the Household Consumables industry, accessories, fabrics, trims, seasonal decoration, crafts and artists' requisites. 5 19 Feb 2018 Alfons Leung CEO at Ceramic Technology Ltd.
My personal experience with Ambiente has been more than 10 years as an exhibitor at my previous job. The Fung Lin Wah Enterprise Ltd.This is as successful as any other Ambiente I attended before as an exhibitor at my previous jobs. Well organised event and easily accessible stands.The stipulated days were ok and well timedI was able to make some business contacts. Great inspiration on design,lighting and in general “great exhibition”! 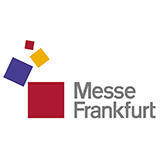 More than 4543 exhibitors participated at Ambiente Frankfurt. The proficient buyers will get to exhibit the following range of products, such as, Kitchen Trends, Kitchen Cabinets, Contemporary Designer Table, Table Top, Housewares and Storage Items, Gifts, Smoking Accessories, Beauty and Bath Accessories, Trendy Gifts for Youngsters, Personal Accessories, Passage Gifts, Interiors and Decoration Items, Seasonal Decoration, Outdoor Living Furniture, Home and Garden Accessories. Holiday Inn Express Frankfurt A..